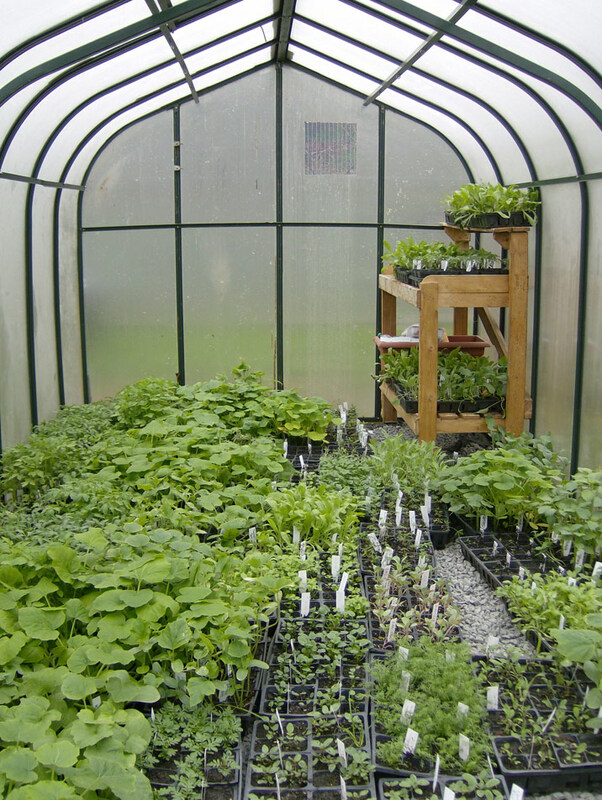 The BRJD Garden Program was established in 2008. 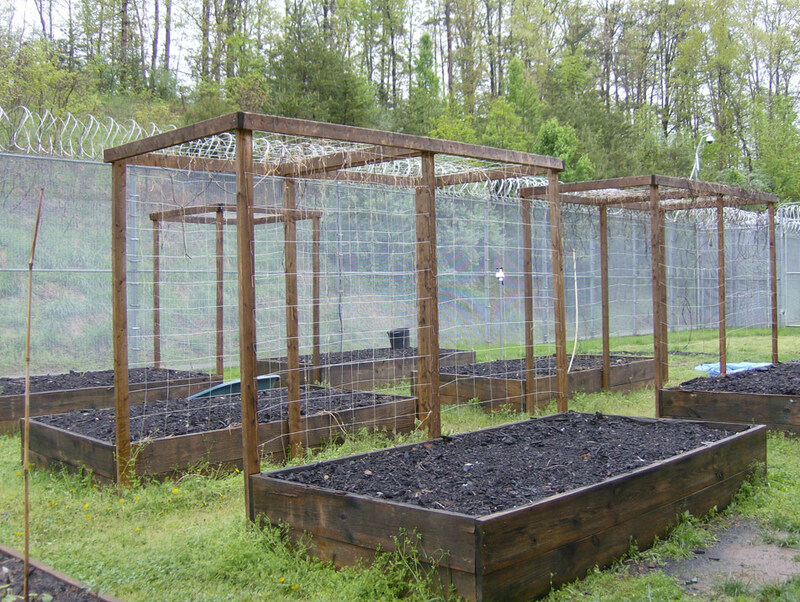 The program currently boasts two small greenhouses, sixteen raised beds, and a composting station. The residents, staff and community members who contribute their time maintain organic and sustainable practices when cultivating the garden with exclusively heirloom plants. Since 2012 seeds have been saved from these plants for future use and the program is continually improving its ability to save seeds in order to donate to local community garden projects. With this increase we hope to be able to gift more seeds to residents and their families to grow in their home communities upon their release. Currently, produce harvested through the program is donated to community members and families of BRJD residents. Plants from our program have also been donated to “jump start” other community gardens including Buford Middle School and the Virginia Institute for Autism. In the spring of 2012, the project generated approximately $250 through a plant sale for the Region Ten Community Service Board’s Scholarship Fund. Starting in 2013, we began partnering with the local Habitat Store and coordinating an annual spring plant sale. The proceeds from this collaboration have contributed over $2000 to Habitat’s charitable endeavors and allowed the Garden Program to sustain itself. In the fall of 2015, final preparations were put on the new Zen pond and arbor area. In addition to grant awards from the Perry Foundation and BAMA Works, generous contributions from several local garden clubs has allowed this project to come to fruition. Our continued collaboration with local garden clubs has been an incredible asset to this program and they have been involved with the majority of endeavors the program has undertaken. This includes the installation of a sophisticated water catchment system and drip irrigation system. Residents who participate in our Garden Program benefit from social and emotional learning experiences. They work as a team and develop democratic problem-solving strategies, which are critical life skills for 21st century living and working. The strong educational program within the facility is an important piece of the holistic, therapeutic experience residents participate in. This experience aims to combine the commitment to academics with the social, emotional and physical growth and well-being promoted within the facility. This approach transcends approaches that rely solely on rote memorization skills and instead provides an opportunity for residents to achieve a sense of accomplishment and purpose. In turn, residents become leaders within their communities where we hope they will continue to promote the prosocial values they identify while with us. BRJD would like to give special thanks to Mrs. Sally Nelson and Mrs. Phyllis Ripper for their ongoing support of our program’s initiatives, goals and expansion. The BRJD Garden Program is managed collaboratively by Joshua Foskett, LCSW and Laurie Cooper, Ed.S. For additional information, please contact Joshua Foskett.